I was so thrilled when a college friend posted to her FaceBook about spearheading a Phoenix chapter of Ben’s Bells. 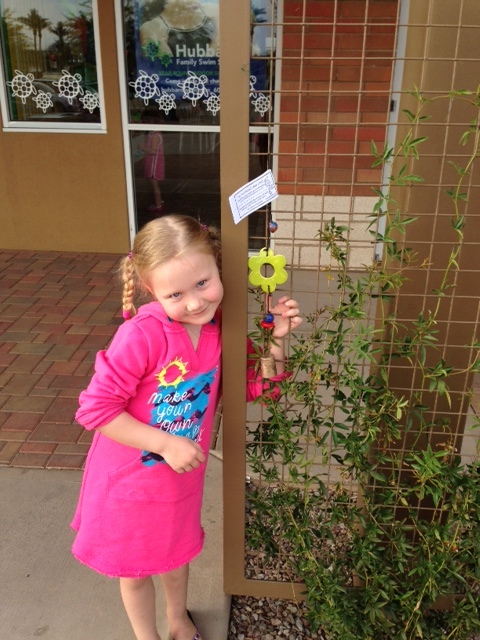 It’s an adorably simple concept: hang bells around town for people to find. Ask them to take the bell home and remember to practice kindness when they hear it ring. The charity’s namesake, Ben, was a precious three year old living in Tucson. He awoke with croup like symptoms but seemed to be feeling ok. Like every mom would, his parents waited and watched his condition. In a flash, his airway swelled shut and they were unable to get him the help he needed in time. 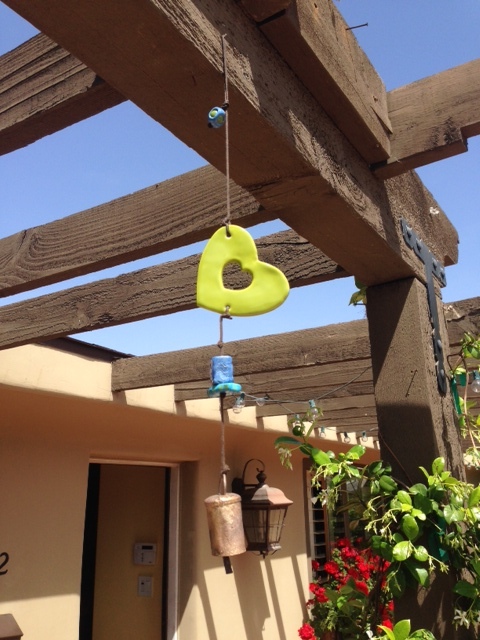 His parents began Ben’s Bells as a coping strategy that has blossomed into a beautiful tribute to his memory. And it has touched the lives of other tragedy victims including those in New Town Connecticut. We were gifted 7 bells to distribute around town. We took them to our regular haunts and waited patiently for them to be discovered and taken home. We realized later that people were a little confused as to whether they were supposed to take the bell, leave it for someone else or take it and then put it back out to be found by someone else. So after a few educational conversations with friends and aqaintences, all of our bells were found. We asked the friends that we knew to spread the word about the project. We’ve since bought a few more from the website as gifts and a few to leave for others to find too.